September has been a bit of a struggle. Between the earthquake we had and just a general lack of motivation, I really struggled to produce content that was outside of my freelance and copywriting obligations this month. That’s not to say I didn’t still make a decent bottom line, but the whole growing my online business thing took a backseat and I’m going to need firmly put that baby back in the front seat this month. Last month I set myself my goals for the month. Let’s take a look at how I did with that (spoiler: not great). Get my email funnels setup and figure out how to engage more readers and keep them coming back for more. I’m going to put a big check mark next to this guy. I really cracked on with Convertkit during the first half of September. I created several different email marketing categories and started to think about how these could be more helpful to the people who sign up. I already got a ton more email subscribers thanks to these nifty little email boxes that I can add into all of my posts that are focused on different topics. I started working on an ebook in August so I want to focus on spending at least 20-30 minutes on it every afternoon. My goal is to have it ready to sell in January. This is a big fat X. I hardly worked on this at all and with the earthquake that’s happened, I think I’m going to have to wait a little while before I work out how this project is going to go forward. Write at least two posts per week and learn more about increasing traffic. I did this every week in September except for when we had the earthquake. So I’m going to put a check next to that one. I am a little bit behind on this for October already, but I’m looking forward to producing more content and also getting a few guest posts in for places that I’ve never visited, but I know people are interested in learning more about. Publish at least one vlog on Youtube per week. Check! I published more videos this month than ever before. Hoping to keep it up. Spruce up my office (maybe buy myself an actual desk chair instead of using the spare bed as a chair) and turn it into somewhere that I look forward to coming into every morning. Sort of. I still don’t have a real chair, but I have spruced up the office a bit and I’ve also started working on the couch some afternoons and even took to a few cafes this month to get a change of scenery. I’m really happy with the ability to take my work anywhere, I guess I just get lazy! The start of the month was slow money-wise. I started panicking a little bit and pitched for a few low-paying jobs just to make sure I was getting some money in, but by the end of the month, I was swamped with copywriting work and was wishing for those quiet moments to be working on my blogs. haha. Never happy! My expenses mostly stayed the same this month. I’ve been looking for a few different programs to invest in to help me build up my SEO and improve my affiliate marketing. I’m also looking into a blog redesign for my homepage to make navigating through all the posts a lot easier. I mentioned last month that I signed up with ConvertKit. I’m still paying $29 a month and I am SUPER happy with it so far. I can’t stop raving about their customer service and I’m really loving how easy it is to integrate into my websites. I definitely need to spend more time figuring out how to best utilize all of ConvertKit’s different features, but I highly recommend it if you’re looking for an email provider. I recently hired a writer for my travel fashion site, Collecting Labels. I was starting to feel super overwhelmed with keeping it going, but I knew I didn’t want to let it fall to the wayside. It has a great DA and receives a fair bit of traffic to certain posts. At the moment I’m paying $15 per article, but am hoping that more consistent posting will allow me to pay more in a few months time. If you’re interested in writing for the site, head over to the contributor’s page. This month I paid $60 for posts. This month my web hosting for Collecting Labels was up so I had to pay that. I use Siteground and I am so happy with their services. I feel like I constantly have a million questions for them and they have a 24-hour chat where you can ask questions that most web owners should know, but I don’t and they don’t make me feel like a buffoon. For that website, I have Siteground’s basic package which costs $119 for the year. It includes my domain name payment, too. If you’re considering swapping over from a different web hosting service, I can’t recommend Siteground enough. I switched over from hostgator and it was just a million times better. They also made it super easy to switch and did most of the work for me for no additional cost. There’s not much new this month other than a decent jump in my YouTube income and I added a few ads around the blog. I’ve made more in affiliate income than I have in a while and I credit that to improving my SEO traffic. I really want to bring this number up in the coming months and I plan to focus a lot more on improving it in the run-up to Christmas. I continue to write for Copypress and Blogmutt for the majority of my income. It was a pretty quiet start to the month, but in the last two weeks of September, I had a ton of copywriting work come in and I was able to make a good amount of my monthly income. The trouble with this is that I end up having to put my blog to the side to complete this work and I constantly feel like I’m playing catch up to increase my other income sources. This month I made $1,365 from copywriting. I worked on a few different ongoing projects this month, but didn’t pitch for new work. 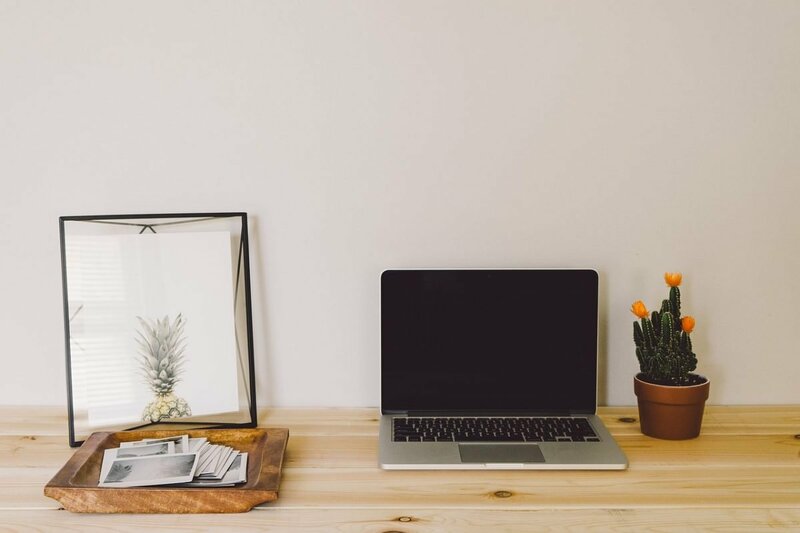 If you’re wondering where I find freelance writing jobs to pitch for, I use this monthly report from Caroline the City and Where to Pitch is a great resource, too. Next month I’d like to pitch a bit more and write for a few different publications so that I can cut back on copywriting a little bit. This month I made $400 on freelance writing. I took a bit more sponsored content this month and I’m happy to see this income rising more and more each month. My domain authority continues to grow which has helped immensely in this department. This month I made $250 on sponsored content across my two blogs. I’m really starting to implement some ideas from the Making Sense of Affiliate Marketing course and more importantly, I’m starting to see some results. I signed up for a few new affiliate programs that I think suit Eternal Expat. I’m really going to be putting in a lot more effort into this in the coming months. 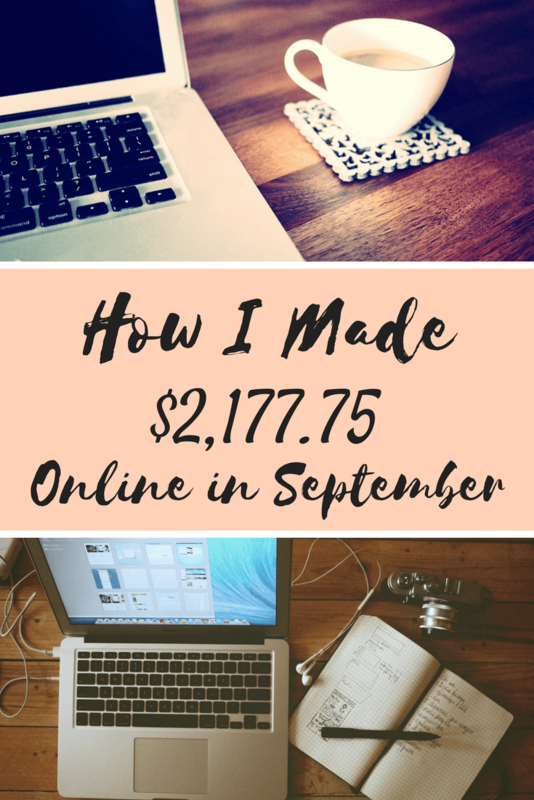 This month I made $128 on affiliate marketing. I’m in awe every month that subscribers continue to grow and that some of my videos have over 5,000 views. It’s crazy to me, but I really enjoy making videos and I love the YouTube community. People are really engaged and comment often which has been pretty fun to take part in. My YouTube ad income has doubled this month. I know it’s still not much, but it’s growing and I think in the long-run this could be a fun way to grow my income. I made $22 this month on YouTube. Follow my YouTube channel here. This month I inserted a few small ads throughout both Eternal Expat and my other site, Collecting Labels. I’m still trying to figure out how to best utilize these without them getting in the way or intruding on the experience of reading my content. I’m currently using Media.net which is Yahoo’s ad company. This month I made $12.75. I’m pretty happy with this income. I took a lot of time away from the computer this month and still managed to stay above $2,000. I’m starting to feel a bit like I’m stagnating not just with income, but in general with the work that I’m doing. I’ve gotten really comfortable just waiting for the copywriting work to come in and do the other jobs when necessary. 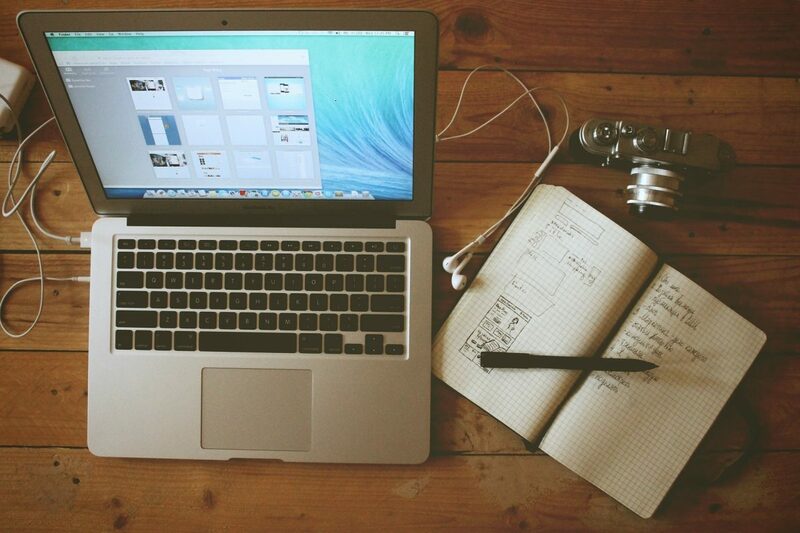 I’m not pushing myself or doing a ton to grow my websites. Last month I was exhausted. This month I learned how to take a step back, how to balance my days a bit more, and how to focus during those times that I do sit down at the computer. I also learned that I am 100% more productive when I’m working on my own projects versus when I’m working on external work for a client. I’m so grateful to have found myself steady clients who come back to me month after month, but it also means that those jobs take priority over my own projects, so I’ve begun to resent it a little bit. That being said, I have for the first time ever, actually turned down work that came my way this month either because the price was too low or I didn’t want to crush my soul with all the outside work. And I didn’t feel guilty about it at all. I also did some soul searching about my websites and have begun to have a little bit more fun with them. Over the summer, I got so serious and felt like every single post I wrote needed to meet specific requirements. The posts started to feel tedious and like everything else I did this summer, it burned me out. That’s not to say that those posts aren’t important to a blog. I truly believe in the power of SEO not only to gain more traffic, but to help answer people’s questions as best as I possibly can. Learning about SEO has made me a better blogger. It has made me really truly figure out how I can write posts that are packed with information and yet are still entertaining to read. I’ve also started a new blog because two obviously wasn’t enough work for me. It’s something I’ve been thinking about for a long time. It’s a running and health-focused personal blog that I’m hoping will be entertaining, but also helpful to all those people who maybe aren’t surrounded by other runners. I want to create a community of people who love running and living a healthy life and need a little motivation from other crazy runners around the world. If that sounds like you, you can follow along on Facebook for updates. I really liked having a few goals for myself to focus on last month, so I’m going to stick with this for a little while and see how it goes. Putting it out on the World Wide Web also means I’m held somewhat accountable for accomplishing them, too. Because that’s one of the parts I find hardest about working for myself. No one is holding me accountable but me. No one is really waiting for me, other than a few clients, obviously, but not with my own business. Create one SEO-researched post per week for Eternal Expat. Create one video per week for my Youtube Channel. Implement more affiliate marketing into my blogs in a more conscious way. Publish at least two posts per week on my new blog. Waste less time on social media – I really want to limit the amount of time I waste scrolling through Facebook and Instagram. Pitch for more freelance work with the hopes of decreasing copywriting work over the next few months. Try to hit 500 subscribers on Youtube (only 30 away! ).